'Heartificial Empathy' author Minter Dial shares insights on increasing empathy in yourself, your company, and even in your machines. Brian Fanzo, Millennial keynote speaker and founder of iSocialFanz, explains the role livestreaming can play in growing your business. Productivity and attention expert Neen James offers advice from her book Attention Pays: How to Drive Profitability, Productivity, and Accountability. Public relations and social media expert Shonali Burke shares tips for PR measurement and effective influencer marketing. Humor columnist and marketing expert Erik Deckers discusses creative writing techniques that can improve your content marketing. 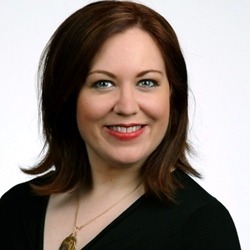 Message strategist Tamsen Webster explains "The Red Thread"—a framework for structuring communications that will move your audience to action.